Title: Birmingham remains one of the best city nights out the UK can offer. And, sure, you may think we’re somewhat biased, but there are several good reasons for this. It’s centrally-located, packed with a wide variety of contrasting areas and has more canals than venice. As a result, Birmingham offers night owls, city dwellers and those simply in search of an adventurous day out all manner of things to do. In this post, we’re going to focus on the important task of socialising and enjoying oneself, and there’s nowhere better to do that than in a pub or two. With the summer finally here, we’ve got the best Birmingham pubs at which you can enjoy the warmer months. If you simply fancy a well-priced pint in a lovely surrounding, or have tickets to see something at the Royal Ballet, the Dragon Inn is a great start. Kids are welcome for those with families and there’s a great outdoor area in which you can soak up that summer evening sun. Sometimes, you just want a warm, traditional welcome and food with an air of home cooking about it. The Jewellers Arms is the perfect answer if you happen to find yourself in the Jewellery Quarter with tired feet after a long day’s shopping. It’s also ideally situated next to the train station, should you fancy a quick drink on your way in or out of the city. As noted above, Birmingham has a huge canal network, along which you can lose yourself for hours. Once those feet tire out, the Malt House is the perfect place to enjoy a long, refreshing drink. As you would guess from the name, this pub is a former malting and focuses on providing an inviting atmosphere, good beer and traditional food. 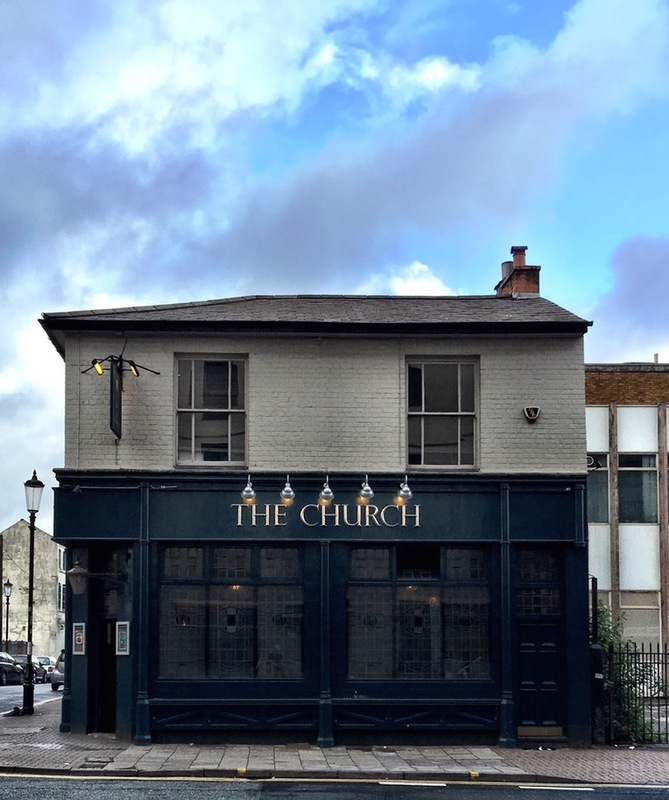 Set in the heart of Birmingham’s Jewellery Quarter, The Church is a stunning, unusual pub that everyone should sample at least once. It mixes a traditional British pub aesthetic with New Orleans-inspired cooking and is situated in a building that is over 100-years-old. Another lovely pub nestled alongside a canal, the Fiddle & Bone aims to be one of Birmingham’s finest gastro pubs, and they’re doing a rather good job of it. If you’re into your boating, they are also very boat-friendly and run the Sherborne Wharf Marina directly from the pub. This enables them to provide special services for boaters such as refuelling and maintenance. Add in live music and you’ve got one of the most welcoming, characterful pubs in Birmingham. And the award for the Birmingham pub with the strangest name goes to…! 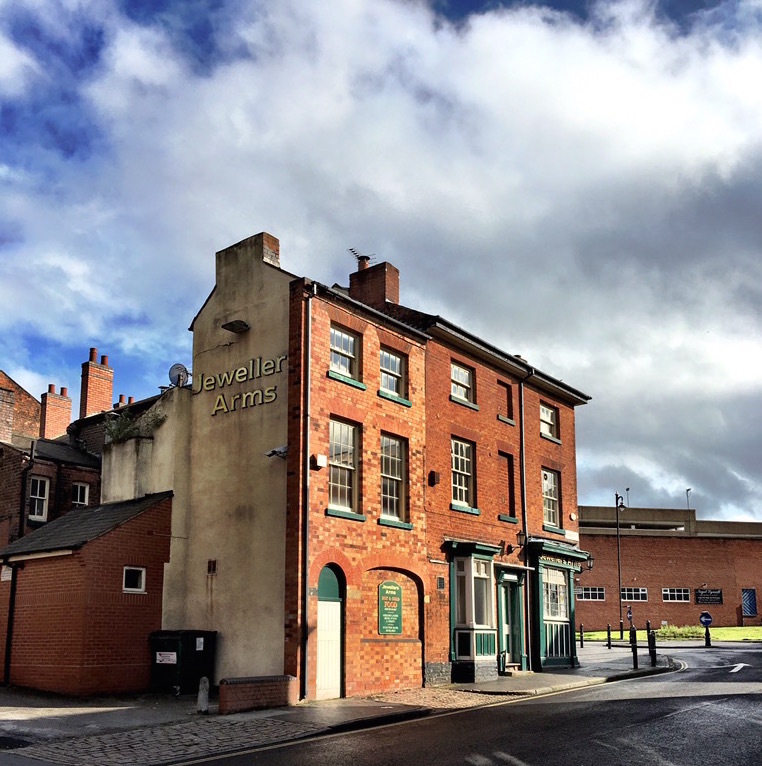 The Flapper is a brilliant Birmingham pub that is pitched primarily as a high-energy live music venue, and one look at their list of events confirms that to be the case. If you want to enjoy a drink or two in vibrant surroundings and catch the best live music Birmingham has to offer, check The Flapper out. We’ve picked out just a small selection of Birmingham pubs above, but we think they represent the best of what this fabulous city has to offer and are particularly great watering holes during the summer months. Get out there and explore Birmingham’s pub scene – it’s one of the best around.